Georgia Secretary of State Brian Kemp’s office is providing misleading and incomplete data to the public on a nightly basis, according to information provided by the state’s own attorneys. This means that the problem at the center of a court hearing Tuesday — high rejection rates for mail-in, absentee ballots, particularly in Gwinnett County, as first reported by WhoWhatWhy — could be worse than either the plaintiffs or the public imagined. During a recent hearing, a state official made a shocking admission, revealing that not all rejected ballots are publicly disclosed. Cristina Correia, Georgia’s senior assistant attorney general, stated that some counties do not report rejected ballots. After Correia made her statement, lawyers for voting advocates went wide-eyed and began scribbling notes back and forth. That’s because advocates were relying on state rejection totals to make their arguments. US District Court Judge Leigh May highlighted the hearing’s unusual circumstances in her opening statement. There were two lawsuits in question and four teams of attorneys — two sets each for the plaintiffs and the defendants. If the plaintiffs prevail, the court could require statewide action to change mail-in ballot review procedures just days before the election. The immediate issue is the constitutionality of Georgia’s absentee-ballot law, and whether or not something can be done to fix it before the election. But the confrontation in the Atlanta courtroom also has long-term implications for voting rights in Georgia. After WhoWhatWhy’s exclusive reporting on October 12 revealed that Gwinnett County was rejecting over 10 percent of its mail-in ballots (now down to 6.5 percent), the Coalition for Good Governance — an election-integrity watchdog nonprofit — brought a lawsuit challenging the way Gwinnett and other counties were reviewing those ballots. The Lawyers’ Committee on Civil Rights Under Law joined in the Coalition case as co-counsel, after seeking records from Gwinnett County on the issue. The ACLU of Georgia brought its own lawsuit. The lawsuits named Kemp and each member of the State Board of Elections and the Gwinnett County Board of Elections as defendants. On the line are thousands of absentee, mail-in ballots that have been, and likely will be, rejected across the state in a gubernatorial election that is dead-even and probably headed for a runoff in December. At a hearing on the suit, US District Court Judge Leigh May left unclear whether she will force Kemp to offer new guidance to all of Georgia’s 159 counties on how they decide to accept or reject mail-in, absentee ballots. Each night, Kemp’s office collates and distributes data about absentee ballot and early voting numbers from every county. WhoWhatWhy used this data to reveal Gwinnett County’s high rejection rate for mail-in ballots. 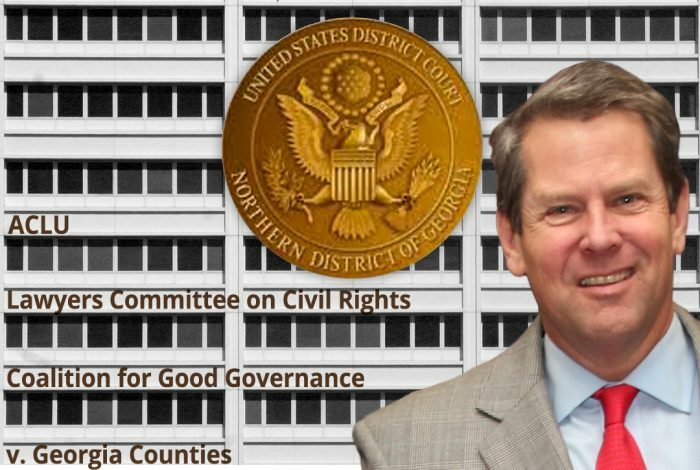 The hearing before Judge May was about whether or not the federal court would require immediate action from Kemp’s office and each of Georgia’s counties to curb rejection rates and allow voters to “cure” their rejected ballots. The judge was specifically focused on the rejection of ballots with a mismatched signature, which constitute only a small portion of all rejected ballots. 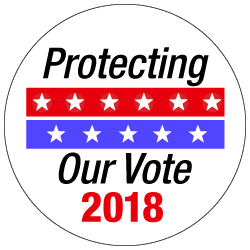 Other, more common reasons for rejecting ballots include voters forgetting to add their birth year, accidentally putting the current year instead, or falling under the catch-all category “Incomplete Oath,” which could include any number of issues on the outside of the ballot envelope. WhoWhatWhy already suspected that some data on rejected ballots was not being reported. Fulton, the largest county in the state, reports accepting 6,563 mail-in ballots and zero rejections — for any reason — as of Monday. That is highly unusual. Chatham, Forsyth and Richmond counties, among the 10 biggest in the state, have also not reported rejecting any ballots. Henry county, the state’s ninth biggest, has reported one rejection. According to a declaration for the defense from Chris Harvey, director of the secretary of state’s Election Division, some counties keep data on rejections in their own offline systems. This is not indicated anywhere on the secretary of state’s website and was not previously known to the plaintiffs in the case. Harvey’s declaration also provided calculations showing that rejected absentee ballots constituted only a small number of overall votes cast in the 2014 and 2016 elections. WhoWhatWhy was unable to replicate the calculations using data pulled from the secretary of state’s own website; indeed, data from that website indicated higher rejection rates. WhoWhatWhy reached out to Harvey late Tuesday night to ask about the discrepancy. Last week, WhoWhatWhy requested records both in person and in writing regarding Fulton County’s process for reviewing and recording mail-in ballots. As of this reporting, Fulton has not responded. Mail-in ballots are being rejected at high rates for superficial reasons, according to the plaintiffs. Before a ballot can be mailed in, the voter needs to fill out an “oath of elector” on the back of the mailing envelope. Fields include, among other things, the voter’s signature and year of birth, which are meant to provide some guarantee that voters are who they claim to be. If any field is not filled out, is filled out incorrectly, or if the signature does not match, the ballot is rejected. Problems arise when ballot envelopes are poorly designed. 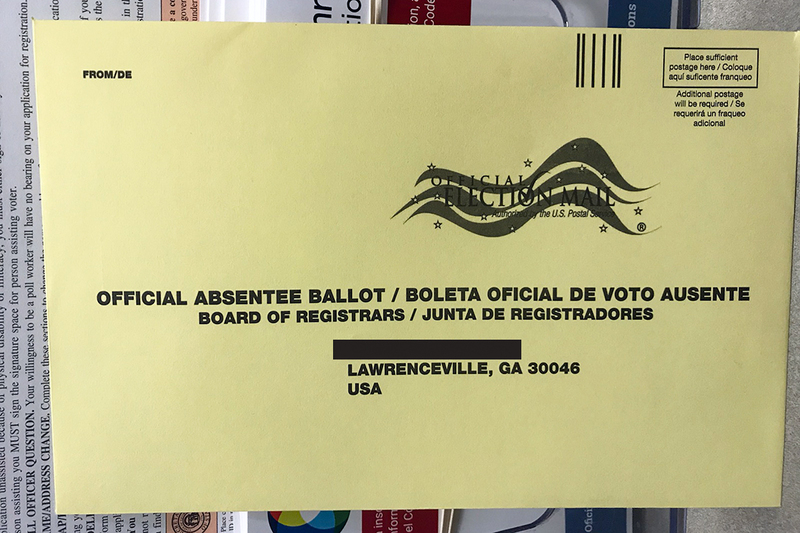 Gwinnett County, for example, switched to a new, bilingual ballot this year. The field for filling out birth year follows a line of Spanish text. Non-Spanish-speaking voters, including English speakers and voters with other native languages, seem to be missing this field at higher rates, according to an analysis done by University of Florida professor Michael McDonald. Even with that explanation, Gwinnett’s rejection rates for Hispanics are nearly twice that for whites. African Americans are rejected at nearly three times the rate of whites, and Asian voters are rejected at nearly four times the rate of whites, according to data included in the Coalition for Good Governance’s lawsuit. The plaintiffs argue that unless the court steps in, thousands of Georgia voters — and disproportionately minority voters — will be disenfranchised in the November 6 election. Among the solutions they are seeking, the plaintiffs ask that counties allow voters to “cure” a rejected ballot by proving their identity until the Friday after Election Day. They also ask that counties be required to accept ballots even if they are missing a voter’s year of birth so long as the voter’s signature matches. These solutions differ a little between the ACLU of Georgia and Coalition for Good Governance lawsuits, as does the scope of their litigation. The ACLU of Georgia is focused only on ballots rejected because the signatures do not match, accounting for a very small portion of rejected ballots. The ACLU asks that voters be allowed a hearing perhaps even over the phone — where they can prove their identity and have their ballots accepted. The Coalition’s lawsuit casts a much wider net. It deals with a broad array of rejections, which can be imposed for more than a dozen reasons. The solution called for by the Coalition is a “one-stop cure,” as the organization’s executive director Marilyn Marks called it. Counties would send voters a “cure affidavit,” which they could fill out and return by mail, rather than restarting the absentee ballot process or having to vote in person. Ballots with errors in the “Year of Birth” field but with matching signatures would simply be accepted. Attorneys for the state also argued that the plaintiffs did not bring the case early enough. The statutes governing mail-in ballots have been in place, essentially unchanged, since 2007. If there was a problem with the system, the state maintained, plaintiffs should have addressed it sooner. “It seems that the argument is that as long as a statute is really old, it can’t be challenged as unconstitutional,” Judge May said, causing laughter in the courtroom. Further, it remained unclear whether the responsibility for identifying problems with the voting process should rest with the state, the counties that implement the elections, or with civil rights advocacy groups. Judge May’s biggest concerns were (1) if the mail-ballot rejection phenomenon was new to this election, (2) if the cases adequately bring constitutional challenges, and (3) if there is time left before the election to fix the problem. Though the judge expressed a sense of urgency in the courtroom, she allowed the state and Gwinnett County until Monday to provide written responses to the lawsuits, and gave the plaintiffs until Wednesday — six days before the election — to reply. In the meantime, she has issued an initial order on part of the case, granting a preliminary injunction for this election. The decision says counties will not reject ballots due to signature mismatch. Instead, the ballots will be marked as provisional, and voters will have the right to fix their ballots until the Friday after Election Day. Judge May rejected the argument of the state’s attorney that changing the ballot review process could harm the integrity of the election by introducing uncertainty. “[The] Court does not understand how assuring that all eligible voters are permitted to vote undermines integrity of the election process. To the contrary, it strengthens it,” Judge May wrote. Nevertheless, the ruling is extremely limited, as it will affect only ballots with mismatched signatures received between now and Election Day. This issue applies to no more than 150 of the 1,845 ballots rejected so far. The judge will rule on the rest of the litigation — addressing every mail-in ballot that is rejected — sometime next week. Meanwhile, if the lawsuit is running out of time, so are voters. Statewide, 55 percent of voters who have been approved to vote absentee by mail have not yet returned their ballots. In previous elections, a big rush of ballots were sent in during the final days of the election. In Gwinnett alone, if the current rejection rate of 6.5 percent remains the same, up to 1,100 more ballots could be rejected, very few of those for signature mismatches. This close to Election Day, there’s almost no chance voters could “cure” their ballots. That is, unless Judge May again sides with the plaintiffs. In that case, she would not only hand a victory to democracy but also show voters discouraged by Georgia’s policies that their vote will be counted. Related front page panorama photo credit: Adapted by WhoWhatWhy from Georgia capitol (dgphilli / Flickr – CC BY-NC 2.0).